With iNSD on the horizon, there are no new releases at SSD this week. Instead, each designer is featuring 5 of their best sellers at 50% off the original price!! 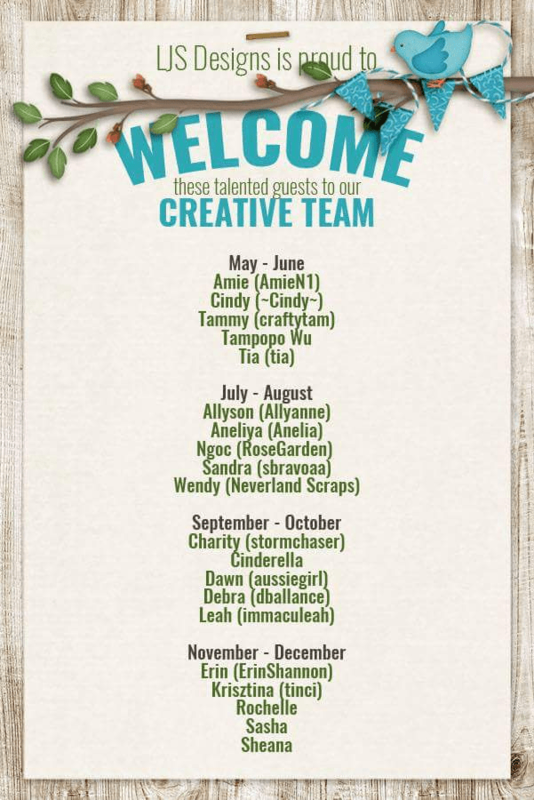 Read all the way through to the bottom to find out who Lorie’s Guest CT members will be for the rest of the year. A digital scrapbooking pack by LJS Designs, 2 Sides 2 Every Story: Birthday are the perfect templates for scrapping your birthday photos into a two page layout. With it’s fun elements such as banners, candles, streamers, balloons and confetti this template set definitely says “party.” Use both templates for twice the fun! A digital scrapbooking bundle by LJS Designs, I Can See Clearly Now is all about the eyes. If you wear glasses then you know first hand the importance of eye care and eye wear. The right pair of glasses or contacts can make a huge difference in how you look and feel every day, so picking out the perfect pair takes time. With it’s “spect”-acular patterns, fun, themed elements and inspirational sayings, I Can See Clearly Now: Bundle has everything you need to fully, and attractively, document your journey to finding your perfect pair. Save $$$ when you buy the bundle here! A digital scrapbooking bundle by LJS Designs, Waking Up Is Hard To Do: Bundle is the perfect collection for people who don’t do mornings well. If you or someone you know is not a morning person, then you need this bundle. With it’s pretty patterned papers, fun themed elements, succinct word art and cleaver pocket cards, it has everything you need to scrap your morning stories. A digital scrapbooking bundle by LJS Designs, Where Magic Happens | Vol. 1 is the perfect collection to help you scrap your Disneyland and Magic Kingdom Adventures. With it’s bright color palette, whimsical paper patterns and a ton of themed elements, you’ll be able to scrap page after page of your magical memories. A digital scrapbooking bundle by LJS Designs, Where Magic Happens Vol. 2 celebrates the sights, smells and taste of the World Pavilions found at Epcot. If you’re like me and love to explore the different country pavilions in the World Showcase, sampling the food and drinks, buying one of a kind items and just enjoying the experience of traveling the world in one stop, then this is the bundle for you! It’s got everything you need to scrap your Epcot Adventures.